As 2011 comes to an end, we follow up our most pirated movies and TV-shows charts by taking a look at the most pirated games of the year. Crysis 2 comes out on top in the PC games category in 2011. On Xbox 360 Gears of War 3 receives the same honor, while Super Mario Galaxy 2 scoops the title of most pirated Wii game for the second year in a row. 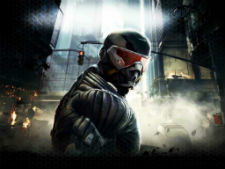 In February, more than a month before its scheduled release date, and advance copy of Crysis 2 leaked on the Internet. Crytek and EA were hugely disappointed and feared a piracy fest, but the opposite was true. Although tens of thousands of people downloaded a copy, the real boom came when the full version was released in March, resulting in nearly 4 million downloads by the end of the year. This ‘success’ landed Crysis 2 the title of most pirated game of 2011 on the PC platform, beating Call of Duty: Modern Warfare 3 and Battlefield 3 with 3,650,000 and 3,510,000 downloads respectively. Interestingly enough, the interest among pirates in the Xbox 360 version of Crysis 2 was relatively low and the game didn’t make it into the top 5 there. On the Xbox 360 the title of most pirated game goes to Gears of War 3. This game was released in September and amassed a total of 890,000 downloads. Call of Duty: Modern Warfare 3 and Battlefield 3 also came in second and third on the Xbox 360. On the Wii platform ‘Mario’ titles traditionally come out on top, and this year is no exception. Super Mario Galaxy 2, released in 2010, becomes the most pirated Wii game for the second year in a row. With 1,180,000 downloads it comes just in front of Mario Sports Mix, which was pirated 1,090,000 times since February. As can be seen from the three lists below, PC games are by far the most downloaded titles, with on average more than three times the number of downloads compared to Xbox 360 and Wii releases. Overall, the number of downloads of the top titles in each category is slightly lower than last year. The platforms that are not mentioned, such as the PS3, get considerably less downloads and are excluded for that reason. The data for these estimated download numbers is collected by TorrentFreak from several sources, including reports from all public BitTorrent trackers. c There are 112 comments. Add yours?